This year is all about being clear about and releasing your greatness like never before. You may have hear people talking about greatness, but what is true greatness? Greatness is living beyond yourself in a way that is fully surrendered to allowing God to do the impossible in your life. Greatness is the full power of the light of God operating in every area of your life. It is not only knowing your potential; it is bringing it forth into manifestation of something that impacts many, many lives. Greatness does not compare itself to others. Greatness is being truly humble, pure in heart and free from the hindrances of darkness within ourselves. When your greatness is fully expressed, you will be focused on building something powerful that will live on beyond your current life-time. Greatness is all about becoming and expressing 100% of who God created you to be without hesitation or apology. Here are some tips to help you GO FOR IT and release your greatness in a whole, new way! 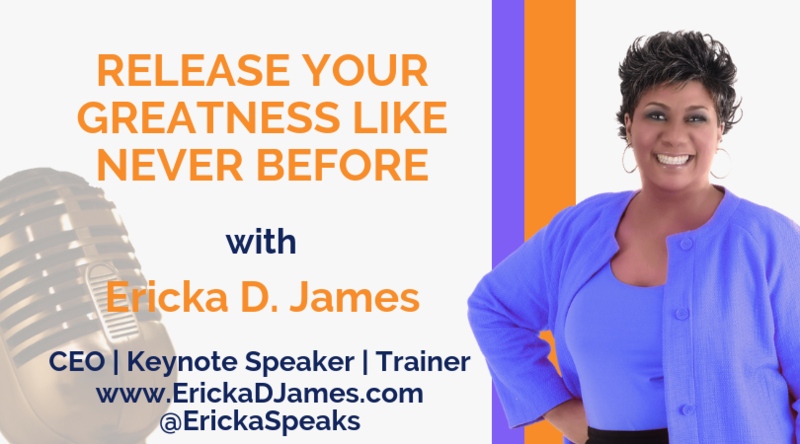 If you are ready to roll up your sleeves and do the work of uncovering your greatness, you are ready for my course, Release Your Inner Greatness: Understanding and Implementing Your Life’s Assignment audio course.